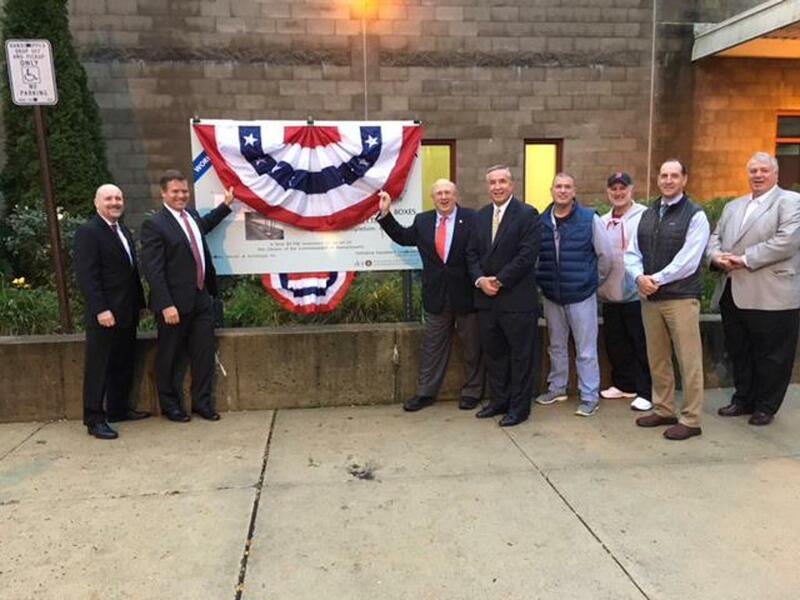 DCR Commissioner Leo Roy, Representative Michael Day and Representative Paul Brodeur were all on hand at Flynn Rink on Monday, October 15 for a brief ceremony to officially announce the start of the project to renovate Flynn Rink. Representatives of the Friends of Flynn Board of Directors were also on hand to participate in the ceremony. The actual renovation work is scheduled to begin in mid-to-late March and be completed in time for the start of the 2019-2020 hockey season. This is a major renovation of the rink and includes replacement of the bed, boards and glass. The Friend of Flynn Rink - a non-profit partnership between the Melrose and Winchester Youth Hockey programs have been awarded a 10-year extension on their current permit to operate Flynn Rink. FOF will continue to retain the services of Rink Services Group to handle the day-to-day operations of the rink. The extension will allow RSG - headed by Gary Warriner - and the Friends of Flynn to ramp up efforts to continue to improve and renew Flynn Rink with planned upgrades over the next several years. Melrose Youth Hockey is very proud of their association with our friends and colleagues from Winchester Youth Hockey and look forward to supporting our partnership and rink management team as we work to make Flynn Rink one of the best ice arenas in the area!